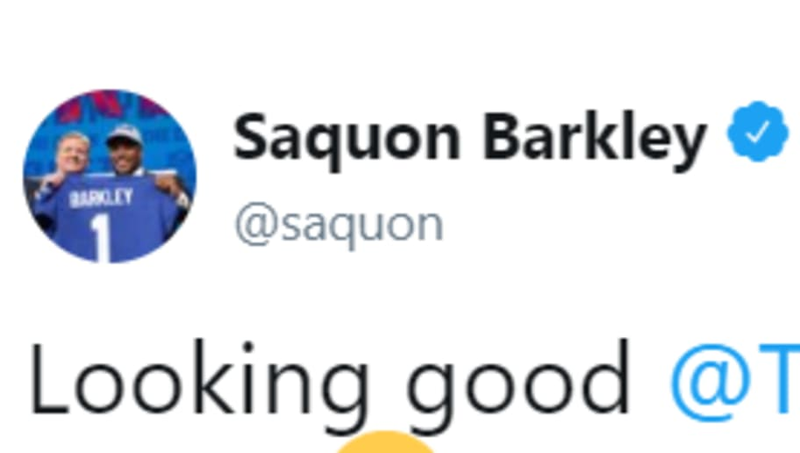 ​​Odell Beckham Jr. may be gone, but that's not stopping New York Giants running back Saquon Barkley from having fun. In fact, he might have found a new best bud. The 2018 NFL Offensive Rookie of the Year poked fun at New York Yankees slugger ​Aaron Judge's khaki shorts, saying that he wore them better. ​​As for who wore the shorts better, let's just say that "better" is a relative term. Unfortunately, the two teams that they play for are trending in opposite directions. Judge's Yankees are primed for another run at the World Series while Barkley and the Giants seem destined to embrace the tanking process yet again following the aforementioned departure of Beckham Jr.
Barkley and Judge are both primed for fantastic seasons, though, regardless of their teams' respective performances. Moments like these are fun for the players and definitely for the fans. Who knows, maybe the two might spark a khaki shorts trend up in New York this summer.